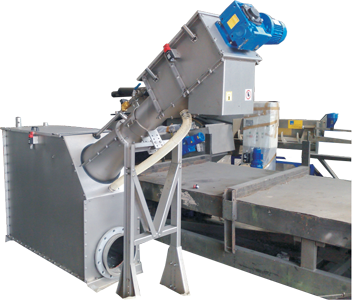 The VSR is a fine screen with cleaning and conveying spiral. 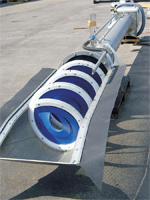 Suitable for channel / tank installation. MOC carbon steel hot dip galvanised / stainless steel SS304 and 316. Hole openings 3, 5 and 7 mm. 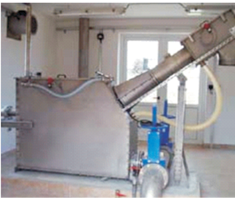 Capacities up to 750 m3 /hr. 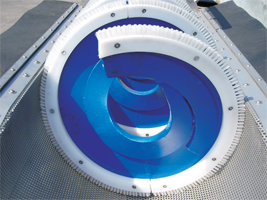 Conveying spiral with cleaning nylon brushes.